BERLIN (Reuters) - Germany will meet the obligation it has made to NATO allies to spend 1.5 percent of economic output on defense by 2024, German Chancellor Angela Merkel said on Thursday. "The 1.5 percent target by 2024 is an obligation to NATO ... I guarantee and the German government guarantees that we will meet that obligation. 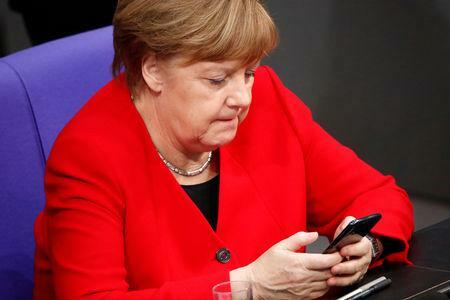 And that will require effort," Merkel told the lower house of parliament.